At the end of the my three month trip around America, my last stop was the wonderful city of Seattle, in the North West. 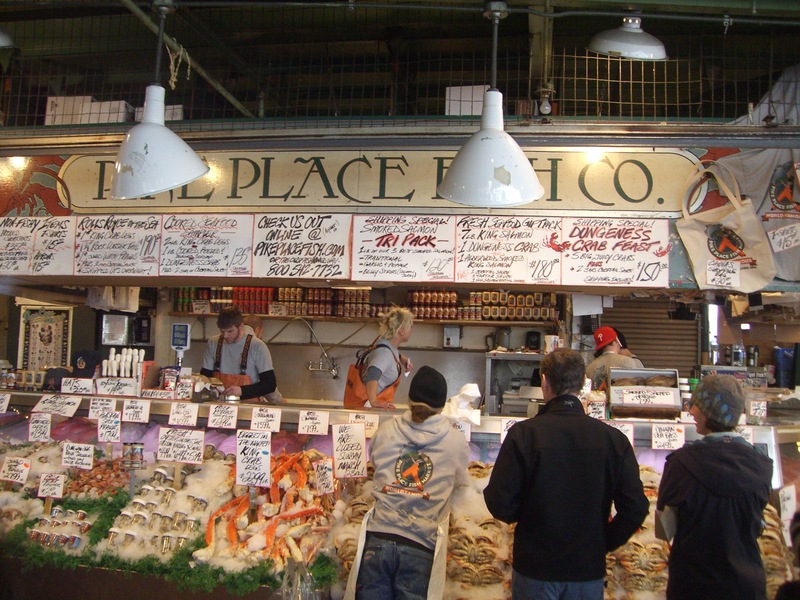 I stayed with family friends for two weeks, and one afternoon we headed into the city to wander around Pike Place Market, one of the oldest continually operated public farmers’ markets in the United States. My favourite stall at the market was this fish counter, famous for their energetic and enthralling sales techniques. There is always a huge crowd around their counter, watching on as they whoop and shout, throwing and catching the fish all over the place!